I’ve been on planes a lot lately – flying from coast to coast. While there are inconveniences to air travel, the upside for me is that I use these long haul flights as a chance to catch up on my long-form reading list. While it may seem quaint or old fashioned to some (when accessing WiFi and on-demand videos seem de rigueur), it has been part of my travel routine for too many years to casually cast it aside. I think a lot about the future of technology and its potential impacts on students and the K-12 education system (intended and unintended). Lately, my explorations into this topic have led me in some unexpected directions. Information Doesn’t Want to Be Free: Laws for the Internet Age by Cory Doctorow (which exposes the predatory behavior of publishers/distributors and other intermediaries, undercutting the interests and freedoms of both content creators and users). While not every piece speaks directly to K-12 education issues at present, they all speak to the wider milieu from which our conceptions of public education and consumer technology are derived. And, given the scope of privacy and security issues dominating the news (with experts now arguing that we’ve lost control of our personal data, allegations of nation states weaponizing informatics, and ISPs clawing back consumer privacy protections), we ignore the implications of these ethical dilemmas on schools and students not at our own risk but at their own risk. Indeed, (in the vein of Dr. Suess’s Lorax) who speaks for the students? Yet again this week, I’ve needed to update my post on the W-2 phishing scam victimizing school districts across the country. And, for those getting hyped by blockchain in education, my take on some of the magical thinking underlying the promise of blockchain for education. Otherwise, here’s what caught my eye – news, tools, and reports about education, public policy, technology, and innovation – including a little bit about why. No endorsements; no sponsored content; no apologies for my eclectic tastes. So, what issues should edtech be talking about instead of scared teachers and content creators? Pretty much everything that is NOT covered by the edtech trade press. Worth the long read. Do the rights of Tennessee students to a public education extend into the right to have a teacher, and if so, does a computer program count? While there are many online schooling options in the state of Ohio, a program that is locally based and operated by a public school district is rather unique. "We will be reminding all schools that boards of trustees can ask, but can't compel, families to bring their own digital devices because schools can't deny a child's access to learning if their parents can't provide them one," she said. "In these cases, boards need to provide access to a school device. Admins need to consider whether they still want to use Symantec (the cybersecurity firm!) after its repeated mistakes with issuing TLS certificates. Says Bruce Schneier: "In the end, national security measures based on secret information require us to trust the government. That trust is at historic low levels right now, so people both in the US and other countries are rightly skeptical of the official unsatisfying explanations. The new laptop ban highlights this mistrust." 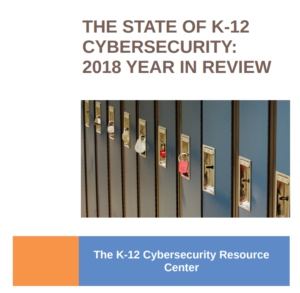 Despite the risk-reducing impact of good cybersecurity habits and the prevalence of cyberattacks on institutions and individuals alike, a Pew Research Center survey finds that many Americans are unclear about key cybersecurity topics, terms and concepts. Folks in edtech may want to bookmark this one. This is not easy (though I did get 10/10). Take it and see how you do! The scope of facial recognition technology is massive and unregulated. You may brush off modern privacy invasions. Perhaps you have nothing to hide. But do you resemble someone who does? As long as the pay-per-click advertising model rules the roost, and news sites continue to be the largest users of data-collecting adtech, online, data-driven propaganda will be a real possibility, not to mention a lucrative business opportunity. This is ALSO true for edtech. Even as many aspects of the digital divide have narrowed over time, the digital lives of lower- and higher-income Americans remain markedly different. New technologies of psychological surveillance, affective computing, and big data-driven psycho-informatics are being developed to conduct new forms of mood-monitoring and psychological experimentation within the classroom, supported by policy agendas that emphasize the emotional aspects of schooling. Many businesses will have to understand and explain the rationale behind the decisions taken by machine learning algorithms they use to comply with new EU data protection laws, a UK watchdog has said. It treats users like they are the problem, when they should be part of the solution. Ten states subscribed to a job-matching and workforce development service called America's Job Link Alliance that had user account data compromised. A recent, massive spike in sophisticated and successful phishing attacks is prompting many universities to speed up timetables for deploying mandatory two-factor authentication (2FA) for access to student and faculty services online. This is the story of Bowling Green State University. Pitched as a good thing, but not so sure: Computer experts at the University of Plymouth have created a new device that provides round-the-clock monitoring against online child abuse and radicalisation for primary and secondary schools. A questionable software purchase has led to the discovery of over $1 million in waste in Dallas ISD's information technology and procurement departments. Several members of the IT department were present at Thursday’s meeting to urge the board not to outsource IT services to a company that proposed to do so. This school year, Ohio law required all schools to switch to computer-based testing on state assessments. A few school administrators have questioned whether state testing in 2017 boils down to a situation of the haves vs. the have-nots. An effort by Connecticut’s largest teachers’ union to keep data about teacher evaluation private suffered another setback last week when a court referee ruled that the information is public. In an 11-page decision, New Britain Superior Court Referee Henry Cohn upheld a Freedom of Information Commission ruling that the information is public as long as it remains in aggregate form. The U.S. Department of Education's office of inspector general has released an audit sharply critiquing the Institute of Education Sciences' security screenings for federal education contractors. “Howard West” is now the centerpiece of Google’s effort to recruit more Black software engineers from Historically Black Colleges and Universities (HBCUs)—and to make them feel right at home here in Mountain View. Can a company that sold you something use its patent on that product to control how you choose to use after you buy it? A British school student recently contacted NASA to point out that there was an error in data recorded on the International Space Station (ISS), earning him thanks from the US space agency. Even if you don't want a thicker, heavier iPad, a child in India or China might. Unlike the business rollout, Microsoft Teams will arrive in a turned-off state by default for Office 365 Education tenants. Pasadena City College is about to launch Starfish, a software platform that sends early-alerts to students based on their class performance and faculty concerns, then puts them in contact in real time with the resources designed to help them such as counseling. If there's the opposite of a 'sharent,' then I'm that. Student perspective: "In a world where much of our information is vulnerable to third-party surveillance, it's no wonder many people are on edge." In Canada, B.C. teachers are calling on government and school boards to take steps to protect student privacy and support teachers’ use of digital reporting tools. A popular scam that happens around tax time has returned, but this time it's targeting schools, but one VA district caught it immediately. Unforrunately, this is news. Yet, this does not seem an unabashed good: "By harnessing the smarts of the computer, new Google tools save time and reduce struggles with tech." Projects like Unpaywall and the Open Access Button are good examples of continuing efforts to liberate all the knowledge contained in academic research papers, much of which is still locked away behind paywalls charging outrageously expensive fees. Until everything is released as open access, they will remain valuable and necessary tools. Tractor hacking is growing increasingly popular because John Deere and other manufacturers have made it impossible to perform "unauthorized" repair on farm equipment. What happens when we don't own, but merely 'license' our things. The new Open Access Button library service provides the opportunity for libraries to see similar or greater cost savings while working in tandem with their existing interlibrary loan systems. Co.Design spoke to the biggest players in the Valley–including Facebook, Apple, and Reddit–to see what initiatives they’ve launched to counter the spread of misinformation. A reminder that tech can be confusing: "Currently, the district has 280 megabytes per minute of bandwidth that goes to Windom and 100 megabytes per minute that goes to Luverne. The proposed update asks for an increase of 220 megabytes per minute of bandwidth to Windom." AltSchool, a private school that uses a technology-driven approach to design individualized lesson plans for students, charges about $30,000 tuition per year. It revolves around a Montessori-like curriculum and bills itself as a hybrid tech company and education startup. Of Apple's new iPad: "I’d guess education will play a heavy focus for this product," Futuresource analyst Mike Fisher said. Maybe, maybe not. Will have education implications (and not for the good): Adobe wants to compete more directly with major ad-tech companies, launching a cloud-based service that lets brands and agencies manage TV and digital buying across platforms to targeted audiences. The field of personal digital assistants is only getting more crowded, with Samsung's new entry Bixby joining the fray. The Korean electronics giant announced the new assistant ahead of the Galaxy 8 smartphone, where it will make its debut. Future battles over online privacy may involve making personal details harder to weaponize, not trying to erase them — whether that means increasing penalties for harassment, improving screening and privacy options, or improving our ability to find people who make threats. Facebook lost a significant battle in restrictions over robo-texting earlier this year, when a federal judge refused to dismiss a class-action complaint accusing the company of illegally sending people messages about their friends' birthdays. Via Ben Herold: Amid a steady drumbeat of reports on cyber-espionage and election-related hackings, lawmakers are wrestling with questions of how to best protect the country from digital threats and address a severe shortage of skilled cybersecurity workers. Yet, this is only one aspect of the issue; schools themselves face their own cyber threats. Scammers seem to always be on the prowl, looking for anyone susceptible to falling for their tricks and recently one area school district is now among many who have fallen victim to tax scams. "Well we were victims of basically a very elaborate phishing scheme," said Walton School District (FL) Superintendent A. Russell Hughes. A federal judge refused to sign off on a settlement between a class of email users and Google, sending the parties back to the drawing board to come up with a more detailed disclosure of how Google intercepts and uses emails for targeted advertising. In New York, Attorney General Eric T. Schneiderman announced that his office received a record number of data breach notices in 2016. Two sources familiar with the matter but who asked to remain anonymous because they were not authorized to speak on the record told KrebsOnSecurity that identity thieves were using the IRS’s tool to look up the “adjusted gross income” (AGI), which is an individual or family’s total gross income minus specific deductions. “Digital technology has been used inefficiently with children with disabilities,” Smith said in an interview from his office at the University of Kansas, where he is an associate professor in special education. Based on this article, that's an understatement. In the UK, the Lords Communications Committee report “Growing Up With The Internet” has demanded intervention “at the highest level of government” after hearing evidence that the internet does not take sufficient account of the fact that the needs of children are different to those of adults. Google is funding Wi-Fi-equipped school buses targeted to rural students with Chromebooks who travel long distances to and from school. Add Powhatan County Public Schools (VA) to list of W-2 phishing victims. Hey tech people, we need you to work ethically during that day job much more than we need you working with that non-profit. Google is apologizing to some very big companies that stopped running YouTube ads after learning that their brands were being featured alongside offensive and hateful videos. The developers of the Ubuntu-based Zorin OS operating system announced the release of the Zorin OS 12.1 Education Edition, a specially crafted and officially supported flavor of the OS designed for educational institutions. City Controller Scott Stringer and New York parents are calling for a fix to a flawed Education Department computer system blamed for ruining the educations of kids with special needs. Facebook made itself the middle man of media, but has yet to take responsibility for that role and its influence. From India: The industry is expected to grow to $5.5 billion in market size by 2020. But there is very little focus on outcomes and there is danger of focusing on business models that go after ‘loss-making’ market share. Fitbits are a good fit at Oral Roberts University, and among millennials, says the man who launched the project. An uncritical look at health monitoring on one campus.